RIP mijo, Officer Santander Heaven has gained and angel . Thank you for your service to our Community. It wasn't long ago I seen you at my graduation. Pinning a badge on a fellow classmate of mine. Although I didn't know you well, met you once, I feel a great sense of loss not only personally but department wise as well. Rest easy my brother in blue. We will hold the line from here. We send out our deepest sympathy to the family and friends of Officer Santander who gave the ultimate sacrifice. May he rest in peace. And the the Amazing Grace of God be the strength and hope of all who knew and loved Officer Santander. Thank you for your service and sacrifice. 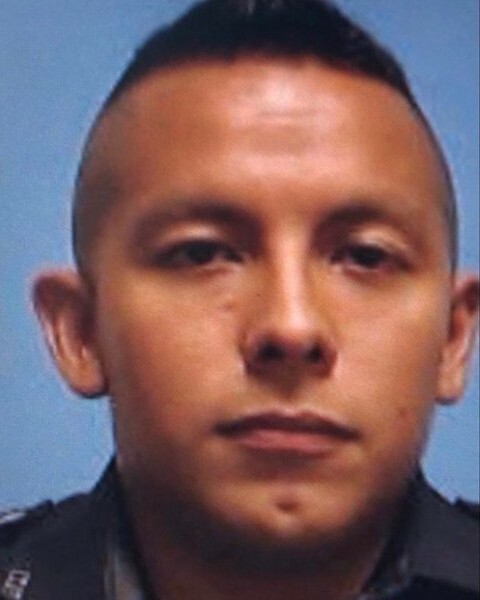 Rest In Peace Officer Santander, Jr. Our deepest heartfelt condolences to all of your family, friends, and brothers and sisters at Dallas Police Department. Rest in honored glory Officer Santander. My heart is broken, brother. Your sacrifice will never be forgotten. You will forever be a hero. Rest easy; we have the watch. Dallas Police Department has suffered devastating losses within the two years. I was allowed the privilege of being one of the two officers to represent our agency at the Service for Sergeant Michael Smith in July of 2016. Please accept our heartfelt condolences for the tragic loss of Officer Santander. Travel well my brother. May the Lord provide peace to you and your family. Great sadness fills our hearts today as pipes and drums in slow March play a comrade's fallen by the way now we say goodbye. We have your patrol from here, Police Officer Rogelio Santander. Rest easy, our Brother-in-Blue, you are now in the hands of the Lord God. Pastor Steven Robert Closs, M.S.B.S. Chaplain Steven R. Closs, M.S.B.S. RIP Officer Santander: Thank you for your service. May God be with your family and your Department during the tough days ahead. We want to express our condolences for your department and family. Prayers my brothers and sisters. Ripley Police Department West Virginia. Rest in perpetual peace. May God watch over and bless this fallen hero's family and members of his department always.